Have you ever wanted to have gorgeous straight teeth but didn’t want the hassle, the pain, and the time commitment of traditional braces? Traditional metal braces are notorious for being difficult to keep clean—even when you practice thorough daily dental care. Braces make your teeth consistently painful, especially in the week or so following each time the orthodontist tightens the wires between the braces. Metal braces cut and can scar your gums and the inside of your mouth, which is why orthodontists give patients containers full of wax to put between the braces and their cheeks anytime they get canker sores from the sharp metal—and that happens all the time. What’s worse, it seems like traditional braces take forever to work. Patients regularly spend an average of 2 years—and more, up to 5 years—slowly suffering as their teeth shift before they are finally released and can start to enjoy the smile they’ve waited so long for. If you think that lengthy ordeal sounds awful, you’re not alone. However, there is a revolutionary alternative to the traditional appliances of orthodontia—Invisalign invisible braces. If you want straighter teeth and a better smile without the pain and hassle of traditional braces, Dr. Theurer is your best choice for a top-quality Invisalign dentist in Salt Lake City and Sugar House, Utah. Invisalign braces have many advantages over old-school metal orthodontic appliances. Below, you’ll find a detailed overview of the top benefits of choosing Invisalign invisible braces instead of traditional metal braces. 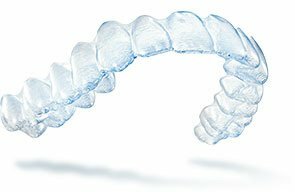 Invisible braces — Invisalign clear braces consist of clear plastic trays that fit over your teeth like a retainer or mouth guard. These basically invisible braces give you more self-confidence during your orthodontic treatment, so you can smile, laugh, and be yourself while your teeth are being straightened by a nearly imperceptible mechanism. With Invisalign clear braces, there are no ugly wires or brackets to mar your smile. Comfort — Invisalign clear braces are made from smooth plastic, so they will not cut and scar your gums and the inside of your mouth like metal braces do. The Invisalign system also follows a more gradual system of straightening teeth, so you won’t have to experience the jarring pain that accompanies having the wires between your braces tightened every few weeks. Convenience — The Invisalign clear braces system uses a series of clear braces trays that you swap out every few weeks, with each new set of trays bringing you that much closer to a perfect smile. When you come in to see us for your regular checkups in Sugar House, we will give you several sets of Invisalign clear braces trays at one time, so this keeps you from having to come in to pick up each new set of trays every couple weeks, which saves you valuable time. Ease — With Invisalign clear braces, you simply remove the trays to eat, drink, and brush and floss your teeth regularly. You can get that clean feeling when you practice your daily dental care, which is far more difficult to do—if not impossible—with traditional metal braces. Time — Although they do not always work more quickly than traditional braces, Invisalign clear braces will likely take less time than traditional braces to straighten your teeth and give you the beautiful, immaculate smile you seek. The Invisalign invisible braces system has so many advantages. It may be the method you have been waiting for before you finally take the plunge and get braces to straighten your teeth and give you the smile of your dreams. Call your Invisalign dentist in Salt Lake City today. We will partner with you to go over your options and explore the cost of Invisalign invisible braces for you, and ultimately determine whether Invisalign is right for you if you are in the Sugar House – Millcreek UT area!